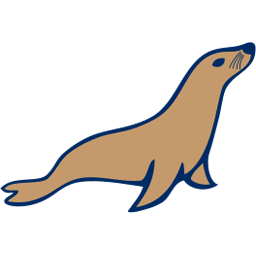 MariaDB Tutorial provides basic and advanced concepts of MariaDB. Our MariaDB Tutorial is designed for beginners and professionals both. MariaDB is a community based project of the MySQL relational database management system. It is open source and relational database technology. It is a great replacement of MySQL. Our MariaDB Tutorial includes all topics of MariaDB such asMariaDB Tutorial with what is mariadb, features, installation, heidisql, syntax, datatypes, connection, Datatabase, create database, select database, tables, crud operation, insert, limit, update, delete, statement, clauses, operators, aggregate function, sum, avg, MariaDB conditions, MariaDB join etc. MariaDB is developed by original developers of MySQL after concerns raised by Oracle's acquisition of MySQL. MariaDB is a relational database management system. It stores data in various tables. Primary keys and foreign keys are used to establish relationship between these tables. RDBMS facilitates you to implement a data source with tables, columns, and indices. RDBMS provides integrity of references across rows of multiple tables. It is used to automatically update indices. It is used to interpret SQL queries and operations in manipulating or sourcing data from tables. Database: A database is a data store which contains table and holds related data. Table: A table is a matrix like structure which contains data. Column: A column is s data element. It is a structure which holds same type of data. For example name. Row: A row is a structure which stores related data. For example: data for a customer. It is also known as a tuple, entry, or record. Redundancy: The term redundancy specifies how to store data twice in order to accelerate the system. Primary Key: Primary key is a unique identifying value. This value cannot appear twice within a table, and there is only one row associated with it. Foreign Key: A foreign key is used as a a link between two tables. Compound Key: A compound key, or composite key, is a key that refers to multiple columns. It refers to multiple columns due to a column lacking a unique quality. Index: An index is virtually identical to the index of a book. Referential Integrity: This term refers to ensuring all foreign key values point to existing rows. Before learning MariaDB, you must have the basic knowledge of Basic Sql and MySql Database. Our MariaDB Tutorial is designed to help beginners and professionals. We assure that you will not find any problem in this MariaDB tutorial. But if there is any mistake, please post the problem in contact form.